I exited the theatre with a smile on my face for two main reasons: first, because it was a treat to be entertained for 1 hour and 40 minutes as I watched a black and white film where only a handful of words are spoken, and, second, because I may have just seen the Oscar-winning film for Best Picture and Best Actor (Jean Dujardin). While I am not a certified film critic, I have studied film and am an avid movie enthusiast. When I watch a film, I study everything that’s going on it, from the acting to the cinematography to the musical score to the lighting to the editing and so on. You get the picture (no pun intended). The beauty of “The Artist” and other films that are executed well and are entertaining is that all of these elements of filmmaking must gel in order to present a seamless end product. 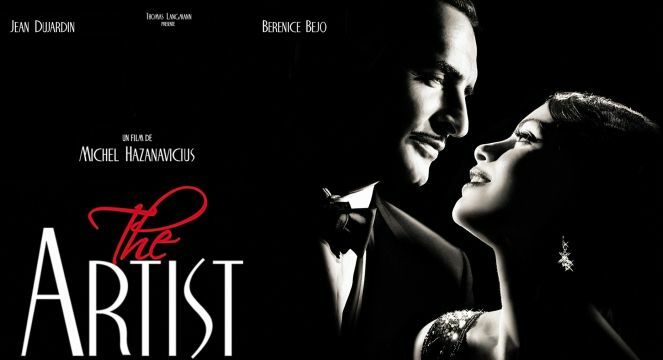 “The Artist” meets and exceeds its task at creating this type of almost flawless production. And, it achieves this feat without using color film or spoken words. Without giving anything away, “The Artist” relies primarily on tremendous non-verbal acting skills—in particular, acting without words—to create a mood and an atmosphere that the audience gets sucked into from the moment the first scene unfolds. I found myself holding my breath during parts because I was invested in the film. Hazanavicius forces us to become connected with the characters and we welcome the involvement. Dujardin (George Valentin) and Berenice Bejo (Peppy Miller) are the two main characters. He’s a married, silent film star, and she’s a young, wanna-be film star. As the movie progresses, it follows their lives as his career winds down and hers begins to take off during the transition in Hollywood when silent films disappeared and talking pictures took center stage. Dujardin deserves the Golden Globe and the SAG awards he’s received. I am guessing an Oscar is probably just days away for him. And while Hazanavicius delivers this endearing, loveable, little masterpiece of a film, the idea of it is not so complicated at all. A silent film, in our time, about the silent film era and the downslide of an aging, silent film star. It doesn’t sound too complex, and yet that’s the absolute beauty of it and its appeal: Hazanavicius and his crew make it look easy. Becoming absorbed in Valentin’s world and empathizing with his character is pure pleasure; we find ourselves rooting for him and for Peppy as we watch their romance and love develop and change throughout the film. If you’re not an adventurous film lover and you tend to stick to the same types of films, let me encourage you to be adventurous with this one. Let “The Artist” take you back in time. 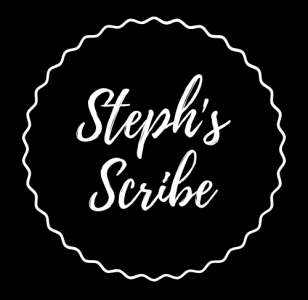 Try to appreciate the ability to become connected with a character despite the lack of dialogue. And perhaps most importantly, be open to both this simple and complex cinematic experience. Finally, do yourself a favor. Just like the film itself, stay silent throughout, and only speak when it’s over in order to fully immerse yourself into it. I hope you will experience satisfaction, enjoyment, and a connection to this award-winning film just as I did. Will add this movie to my “watch soon” list. I hope you do! You will really enjoy it! It will arrive by Saturday. Let you know how it goes. When I taught Film and Lit I showed “The Battleship Potemkin” and “Nosferatu” It was interesting to see the students come to appreciate what can be done in a minimalistic way. If you have not seen either of those films I highly suggest them. Here in Chicago the CSO did the score for “Potemkin” live a few years ago at an outdoor concert. This made the experience even better. Last night as I watched the Oscars I was wishing that I already saw this movie. I am confident I will love it. I watched an interview today and they say the reason people love it so much is because the audience is able to make up the story much like a book. They fill in the gaps. I can’t wait to see it. I agree. It’s amazing what can be accomplished without dialogue. Also, if you find time, see it in the theatre. It’s an experience!